If you get a chance to run The Color Run at any time, I highly suggest it. 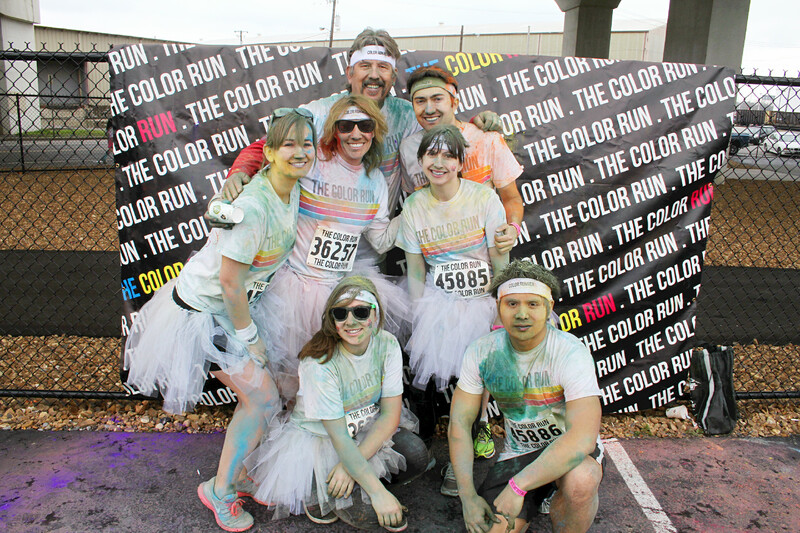 It was a ton of fun and, since it wasn’t timed, a nice, easy run where you could take your time to get doused in color. It was a pretty chilly morning in Nashville, with the sky cloudy and in the mid-40s. 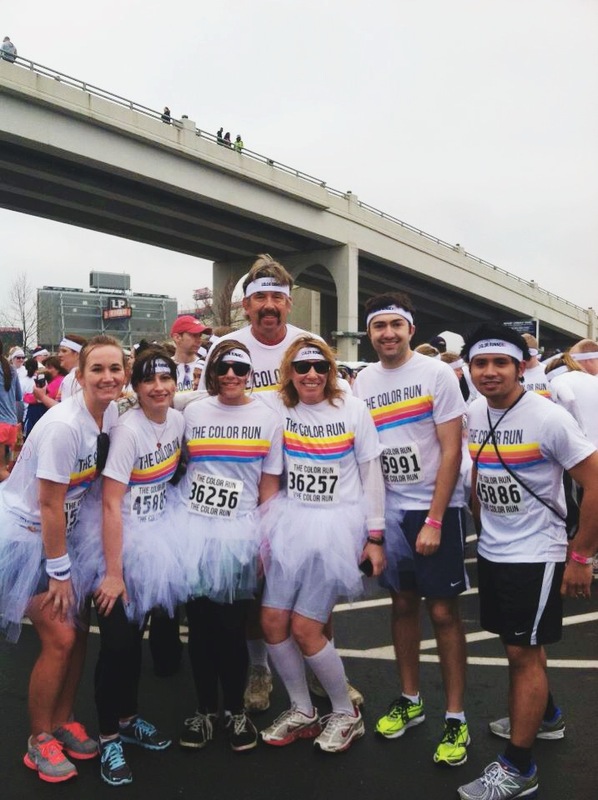 Our team (which consisted of several of my coworkers/friends) arrived at LP Field and was completely overwhelmed by the sheer number of people waiting to start. We ended up pretty far in the back, since we arrived about 15 minutes before the scheduled starting time of 9am. They release runners in waves every few minutes. It took approximately 45 minutes before we got to actually start the run. A few people (and when I say a few, I mean a lot) decided to “cheat” by climbing up the bridge stairs instead of just waiting, but we stuck it out and were glad we did. At the starting line was loud pumping music, people throwing out free stuff, and the people who just couldn’t wait to be covered in color and started dousing everyone around them in it. So even though the wait was long, it was worth it. 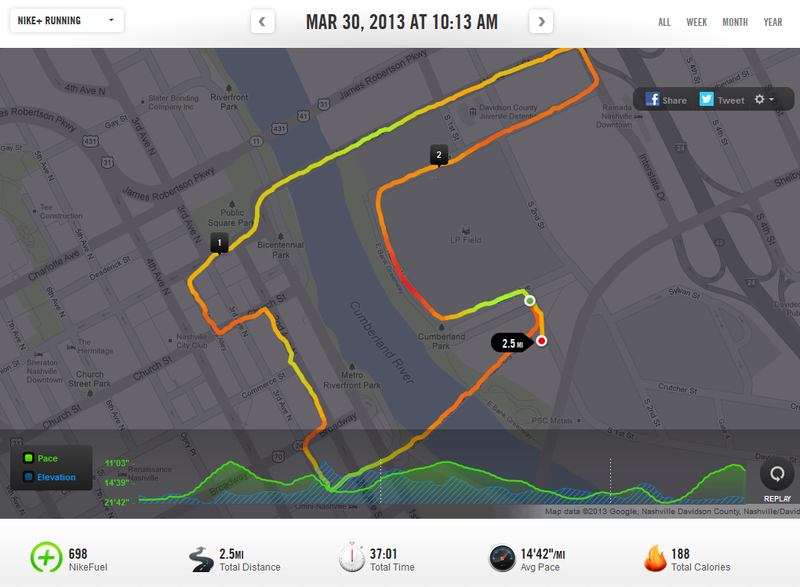 The start was slow, as you can see in the Nike+ map below. There were SO many people that it was nearly impossible to run at a decent pace. Once we were over the initial bridge, there was more room. Our team’s plan was to walk through all the color zones, which is where you see the red spots on the map in the beginning. Around a mile and a half (which I swear is where it always happens), I started to get a horrible side stitch. So much of the red that you see towards the end is either me walking through a color station or me walking because it hurt too much to run. I did manage to ignore the pain long enough to make a strong finish (well, strong for me; I’m slow). My before and after shots! When we arrived at the finish line, we all opened up the bags of color that we received at registration and dumped them on our team. Then we took a group photo and danced a bit to the live DJ while people all around us threw color. Overall, it was a great time, and I can’t wait to do it again in the fall! 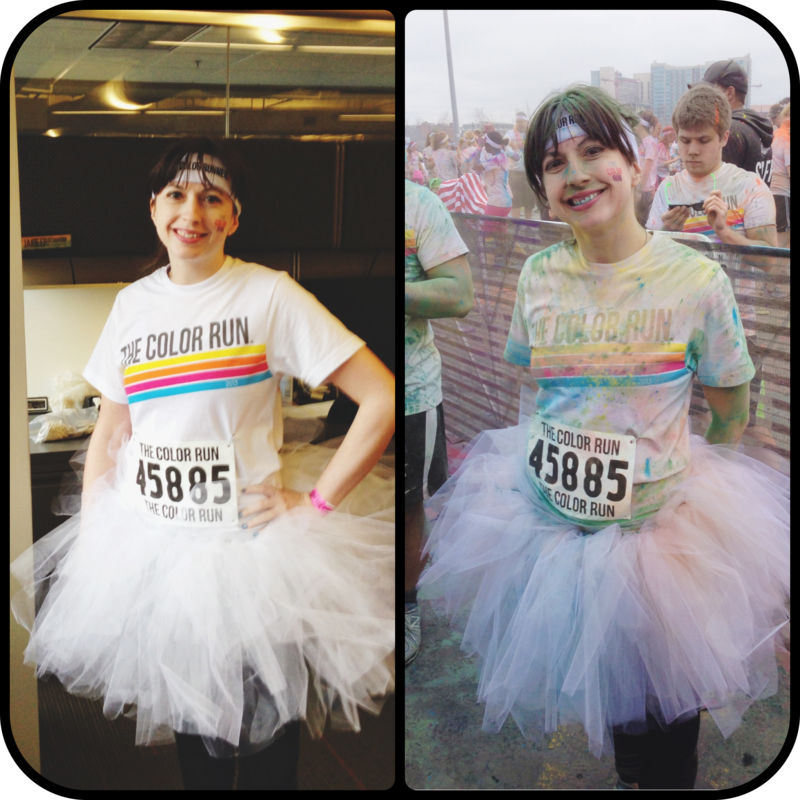 This entry was posted in Race and tagged fun run, running with friends, side stitch, the color run. Bookmark the permalink. ← My name is Jessica, and I’m a jogger.